Along with the release of the new Nest gear today, there's an updated version of the Nest app. The v5.0 update is in the Play Store and on APK Mirror right now. This is almost a completely new app with a revamped home screen, integration with Dropcam, and more. 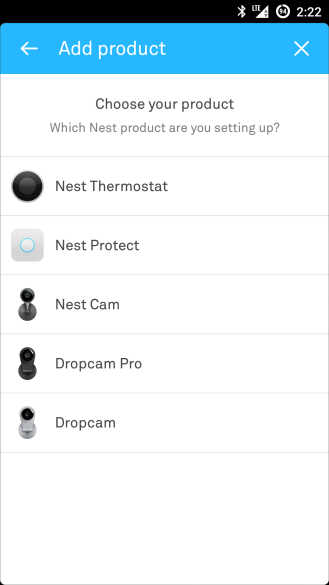 The list of changes is huge, but luckily Nest has the entire thing on its website. Here's an abbreviated version of the changelog. You'll see live video streams for each Dropcam and Nest Cam you have. Animated weather fills the entire home screen background. We made it easier to tell Nest when you're Home or Away. 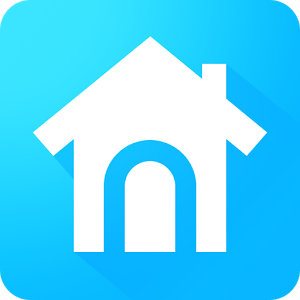 Just tap the Nest home icon on the home screen. Tap on a thermostat and you'll see an updated design. The up and down arrows have moved under the temperature. When you turn up the heat or turn down the air conditioning, the whole screen will turn orange for heating or blue for cooling. You can see inside humidity and the outside temperature at the bottom of the screen. Just swipe to switch between them. Our most popular features are now at the bottom of the thermostat screen for easy access. You'll see heating and cooling modes, fan control, your temperature schedule and Energy History. The Settings icon in the top right corner takes you to a reorganized menu that's easier to use. We now support up to 40 thermostats per account (maximum of 20 per home). We've made the entire Nest Protect experience more beautiful. The Protect screen now reflects the design of your Nest Protect. If you have a 2nd generation Nest Protect, you can now use the Nest app on your phone or tablet to silence an alarm. You'll see Safety Checkup and Safety History icons at the bottom of the screen. 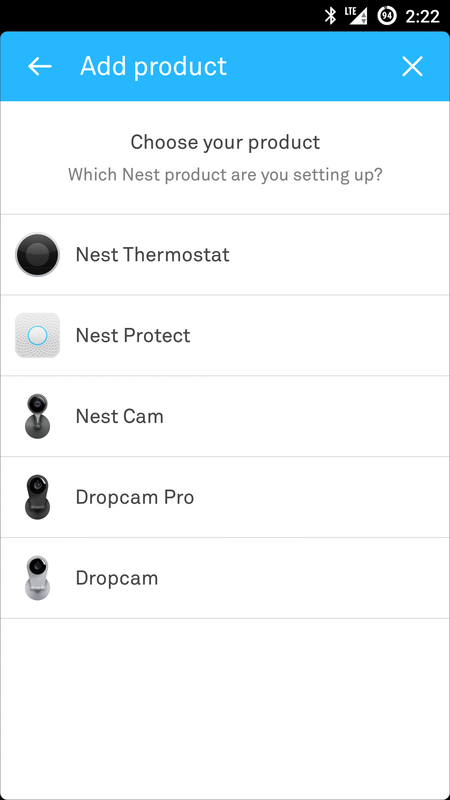 If you have more than one Nest Protect, they'll be listed at the bottom of the screen. Tap one to see its sensor, battery and connection status, or jump to Safety History. You can see the results of your last Sound Check, and see when Nest Protect automatically ran its speaker and horn test. 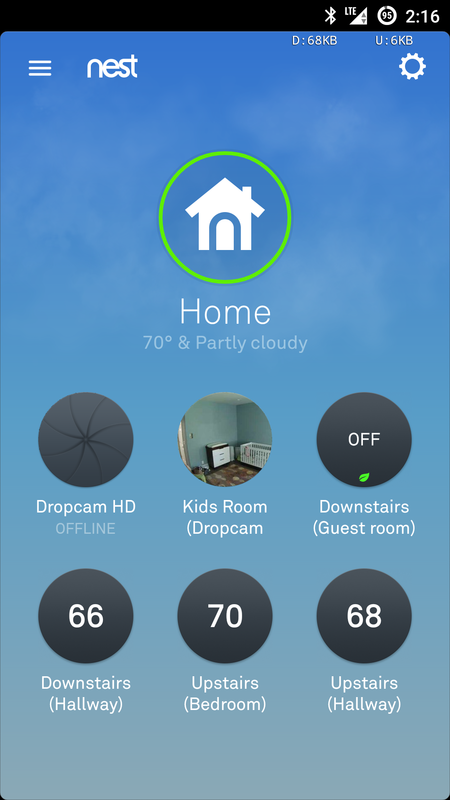 You can control Nest Cams and Dropcams, watch their live streams, and review recorded video. The Nest app automatically adjusts video playback quality. We've added Clear Zoom (digital zoom and enhance) to the Nest app. Pinch on the video to zoom and then tap Enhance to make the picture sharper. Talk and Listen is now easier to use. Tap and hold on the Talk icon and start talking. If you have a Nest Aware subscription, the Nest app makes it easy to see a summary of events in your Video History. No need to scrub through hours of video: you'll see short clips of each event when something happened, and can watch them with a simple tap or click. So there's clearly a lot going on here. Of particular interest is the integration with Dropcam, so you only have to use the one app if you've got both Nest stuff and old Dropcams sitting around. The live video streams on the new home screen are snazzy too. The video summaries you get with Next Aware sound like a handy feature similar to the FLIR FX's RapidRecap. It shows short clips of each event rather than just dumping hours of video on your screen. You can check the Nest site for a little more detail on what the new app can do.